You're always first in the lift queue and even arctic temperatures won't stop you skiing. 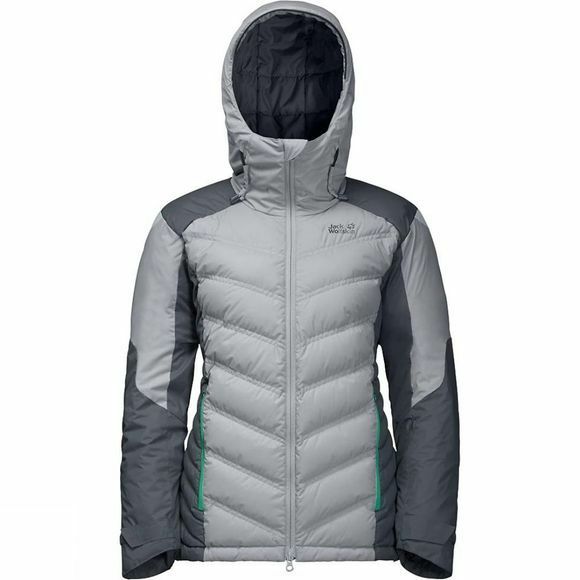 Because you're wearing your Womens Exolight Down Jacket from Jack Wolfskin, the ultra-warm winter sports jacket. This high-end jacket was designed and developed for the ambitious snow sports fan, with comprehensive ski-specific features and sophisticated detailing. For this jacket, it has a windproof shell fabric with Downfiber, an innovative fill material consisting of down and synthetic fibres. This hybrid fill is ultra warm and the insulation performance is not compromised by dampness, which is a distinct advantage when you're dealing with snow and ice. 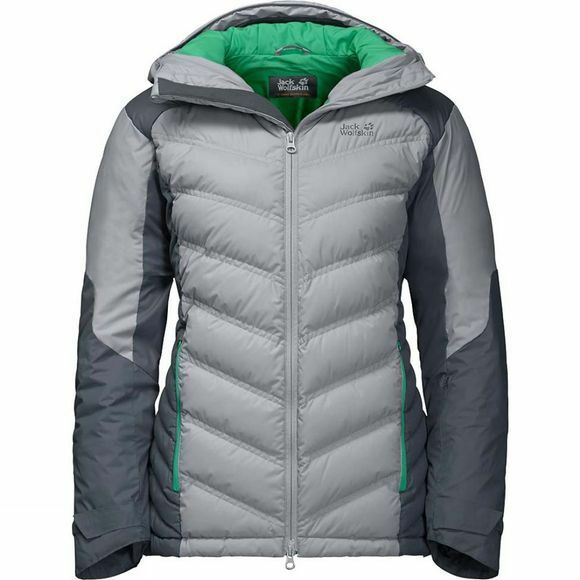 The synthetic fibre insulation in the hood and shoulders is also immune to moisture. It is equipped with a snow skirt, a ski pass pocket, a RECCO chip and pit zips–crucial features for on and off piste skiing.